Here's an easy thanksgiving bunting I made last year, but updated just a little. 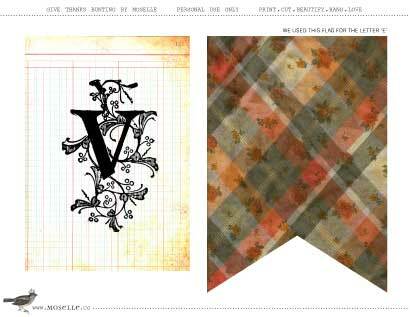 The original pattern, that can be printed off for free, has really cute fall plaids and burlap designs. Since I only have a black and white printer, I had to improvise. 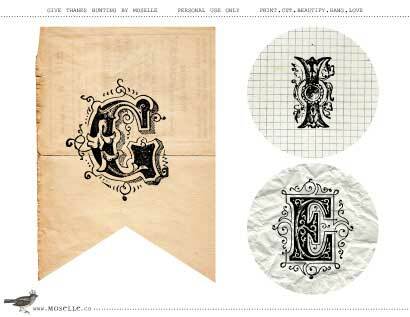 I just printed it off in black and white and added my own burlap, and old book and music pages for depth and interest. The neutral colors go good with my already neutral fall mantel. Best of all, most of the work is done for you. Just print it out and start cutting. Go here to get the free downloadable pattern.